Discussion in 'Gadget Corner' started by Wolf, Aug 19, 2015. 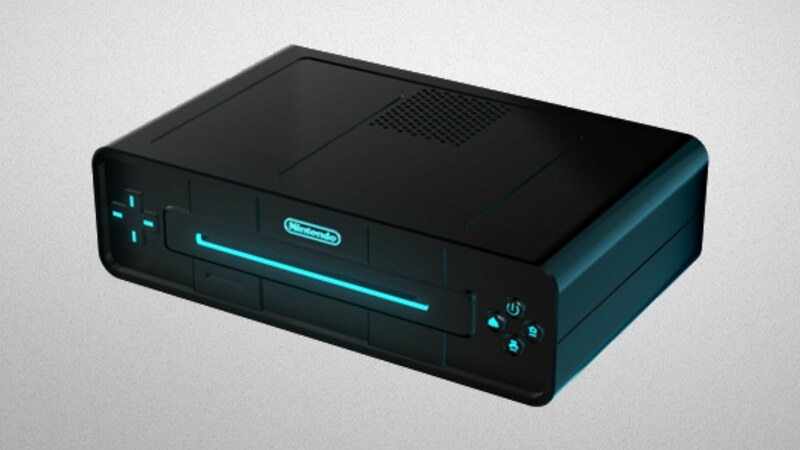 This might be the new console might look like. im really hoping they go with a portable that can plug into the tv when ur home. even though the 3ds has done quite well with over 50 million sold, thats only half of what the original ds sold. this is a direct result of the smart phone. ds came out before the smart phone and thus why it did so well. so although not as big anymore, there is still quite a market for a dedicated portable gaming device. bundle that with the ability to use the same device as a home console and i think u got a winner! This will still be the best Nintendo ever made. blyons200, JHDK and semipenguin like this. this of course is just speculation cause u never know what they plan to do with all the various patents they file but its still fun to read through. to me the interesting part in that article is that there is no disk drive in those patents. they do talk about a memory input which could mean just a normal sd card or it could be a slot for games like the ds and 3ds. the time is near when there will be no more disks used in gaming systems, i just wonder if now is the time to switch to a totally online shop for games. If they don't supply disks for games they better provide bigger hard drives. I have 6 disk based games and 2 games I bought online and those games take up 280 gig of my 500 gig hard drive on my PS4. Even the disk based game updates take up tons of space. i am choosing to believe everything in this article because it is exactly what i wanted from nintendo. it would be great to have a better version of wii u and 3ds combined. and its gonna be as powerful as ps4? thats awesome. i had completely given up on nintendo trying to compete specs-wise and so if this is true it will be awesome! there is a solid list of rumors in this article. i look forward to going back to this link and seeing how much of it turned out to be true once they reveal the hardware. i would be happy if all this turned out to be true. i was hoping for ps4/xbox one power but if its truly portable like these rumors say above ps3 power is fine with me. The NX is primarily a "high-powered handheld console with its own display", with the key twist that "the screen is bookended by two controller sections on either side, which can be attached or detached as required". At home you can connect the portable (which houses the power as a standalone device) to a base station that displays the system on the TV. This dual approach is to ensure that all games are fully functional 'on the go' or at home. It'll apparently use Nvidia Tegra technology, with the expected tech in use considered beyond the abilities of PS3 / Xbox 360, but potentially not up to current-gen home console levels in terms of graphical power, unsurprising as this concept is essentially a dedicated portable. It all depends, ultimately, on which Tegra chip is at the core of the system, something that's not quite clear. We've covered this further in a separate article. NX will use cartridges, as previously speculated. They may be limited to 32GB in size, though downloads can naturally get around that. There are apparently no plans for backward compatibility, as a result of the different architecture being used. Nintendo is apparently using a new operating system of its own, not Android as rumoured. The system is likely to be revealed in September, with a core marketing pitch to keep things simple and emphasize gaming on the go. its been over 600 days since the NX was announced and there will finally be an official look at the system tomorrow!!!!! i wonder how much they will reveal. they are pretty much forced to do it since they have an investor conference on the 26th. looks great! some surprises include how they showed of skyrim in the trailer which means bethesda is a 3rd party supporting them! 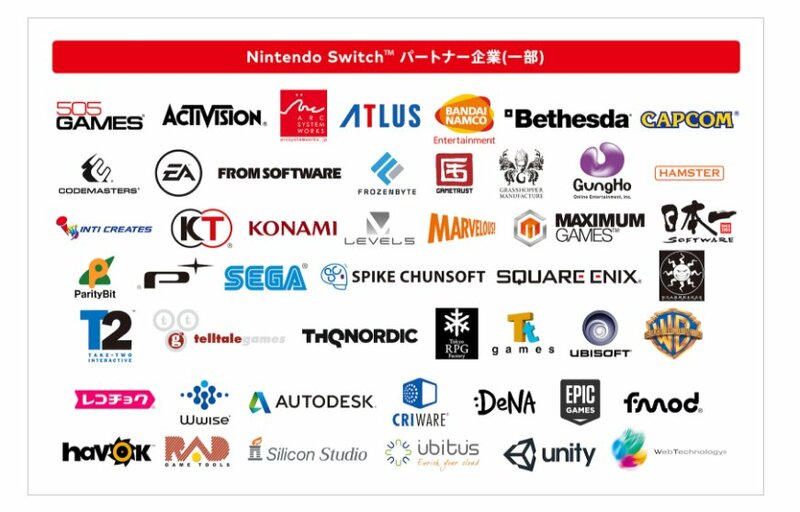 looks like they are getting their 3rd party act together for the new console/handheld. im looking forward to learning about the specs. just how powerful is this thing? also, interesting to note that there is no D Pad included with the controllers that plug into the sides of the machine. you need a seperate controller, one like the wii pro controller to have the normal setup. and looks at all these 3rd parties!!!!! If it's cheap, I'll buy one for the next Mario Kart. If not, I'm not really looking for a portable video game. I do not want to be the dude with the dog in that video. When I go outside with my dog, I want to be outside with my dog, not pretending I'm someplace else. Also, "Switch"? When I was a kid, a switch was something parents beat you with. Not a good name. Then you weren't playing it right. yea, my first thought was it's a dumb name. but it hasn't even been a day yet and i'm already used to and like it. it's a better name than wii and that seems normal now. 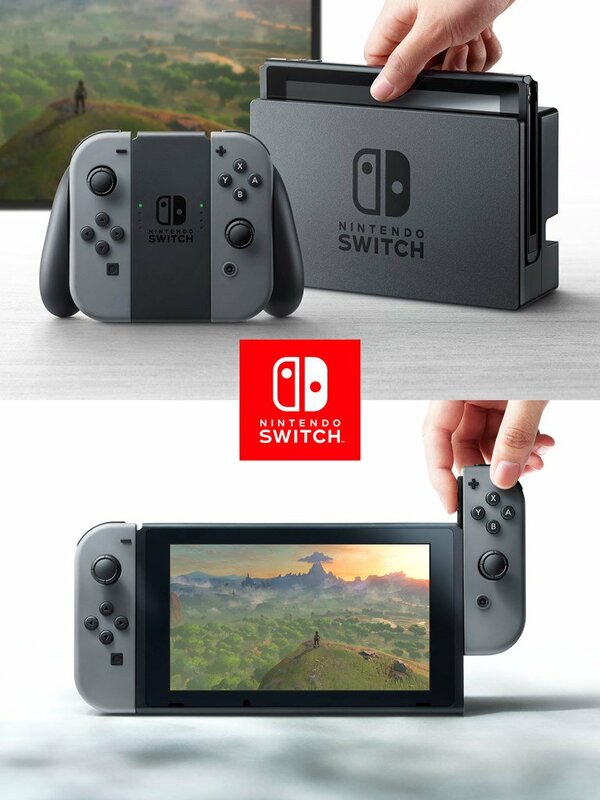 by the time this thing drops in march no one will think twice about switch. first quick look at a game (zelda) actually playing on the switch, unlike the simulated video in the reveal commercial. interesting article about the guts of the switch. less than a month until we officially learn more! 10 days until the big press even where people will actually be able to play around with the switch!